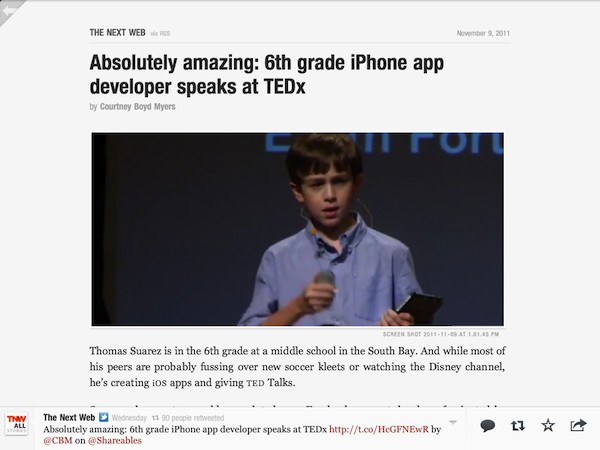 A TED Talk by a sixth grader, Malcolm Gladwell on Steve Jobs’s legacy, Peter Jackson on filming The Hobbit on 48 Red Epic cameras…flip on for this week’s most shared articles or tap here to read them all in one nifty section. Thomas Suarez is one precocious sixth grader. 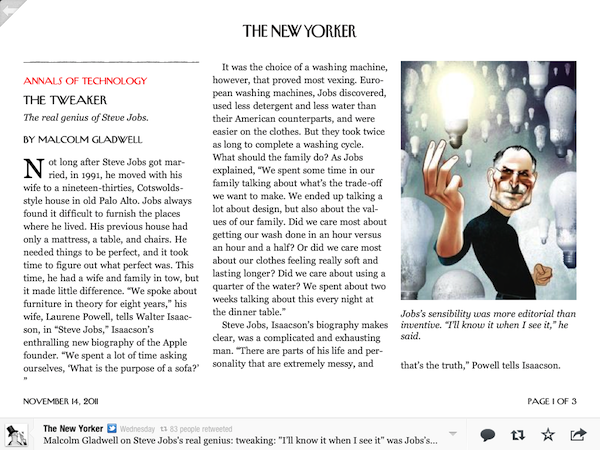 He’s got two apps in the App Store — Earth Fortune, which displays different colors of Earth depending on what your fortune is, and Bustin Jieber, a Whac-a-Mole for Justin Bieber — and a TED Talk under his belt. 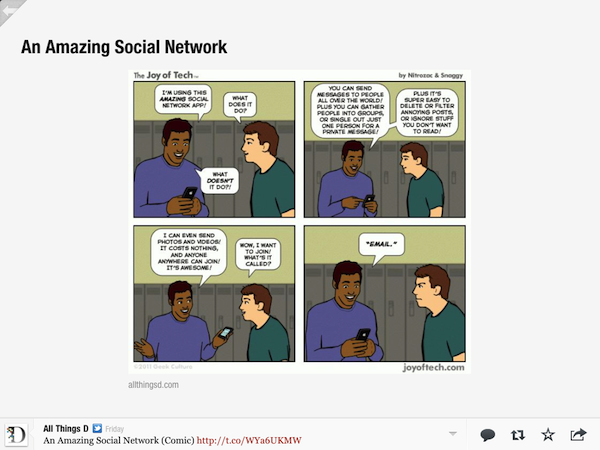 The Joy of Tech is a comic about technology and pop culture, created by Nitrozac and Snaggy, the creators of GeekCulture.com. This much-shared cartoon takes a cheeky poke at today’s all-powerful apps. 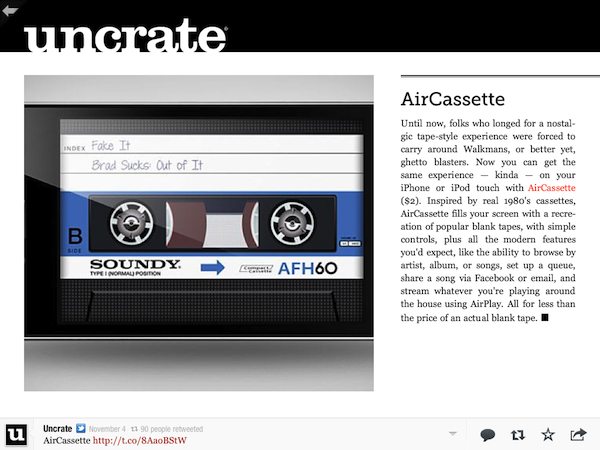 For less than the price of a blank tape, the AirCassette app transforms your iPhone or iPod Touch into something that looks like a 1980s cassette tape but contains the modern trappings, like sharing music via Facebook and creating digital playlists. 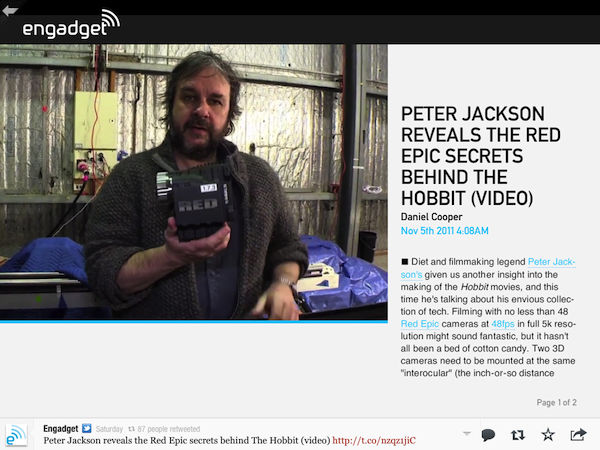 The much-anticipated The Hobbit film from Peter Jackson is filming with 48 Red Epic cameras at 48fps in full 5k resolution — a spectacular technical feat explained here by Jackson himself.